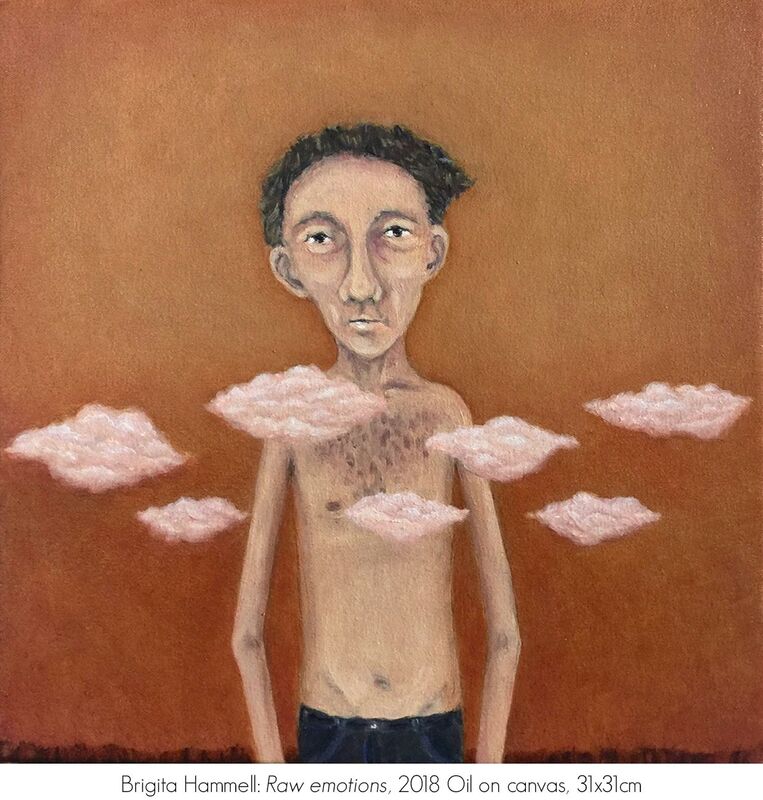 Illawarra Local | Group Exhibition | Artsite Galleries | Sydney | Gallery_2 | 02 - 24 February 2019 | Gitte Backhausen | Catherine Carr | Janine Coddington | Lissa de Sailles | Becky Guggisberg | Brigita Hammell | Melissa Ritchie | Megan Seres | Robyn Sharp | Initiated by Jamie Cole. 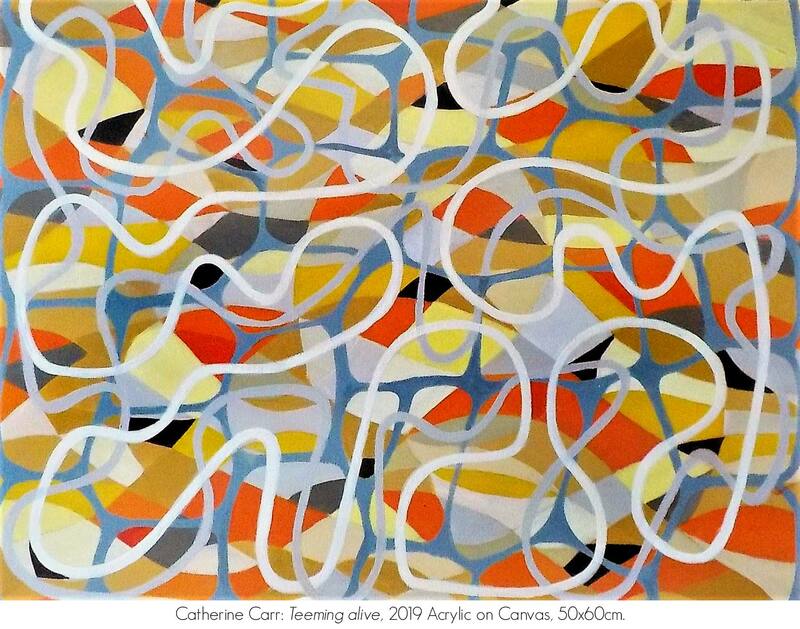 During 2018, Artsite Galleries invited Jamie Cole, official exhibitor - 2019 Sydney Gay and Lesbian Mardi Gras, to curate an affiliate exhibition in Artsite Gallery.2. Jamie Cole, well known on the South Coast as the curator of The Art Bar Kiama, is a significant contributor to the dynamic and growing arts scene currently transforming the Illawarra region. 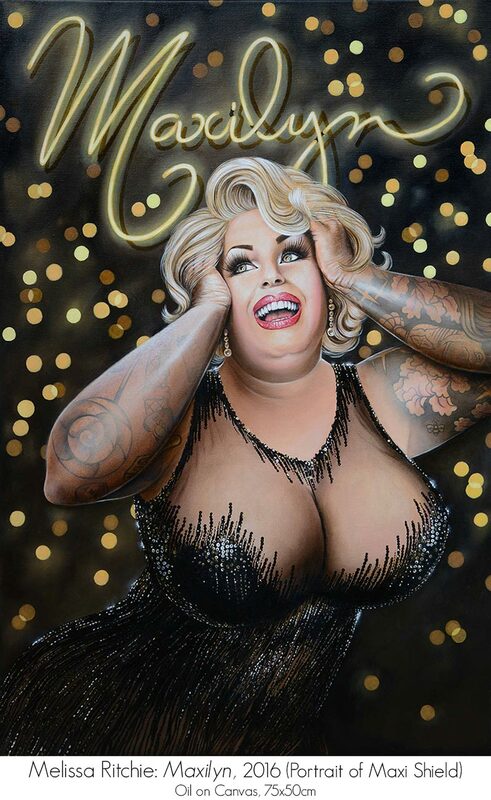 This role has put Jamie in constant contact with quietly under-recognised local artists, who he wants to "out" along side his Mardi Gras exhibition "Booty" (Artsite Gallery.1). The January 2019 Sydney Morning Herald listed Kiama´s Art Bar as one of the top 31 attractions on the South Coast of New South Wales - a credit to Jamie and his Husband, Bruce. 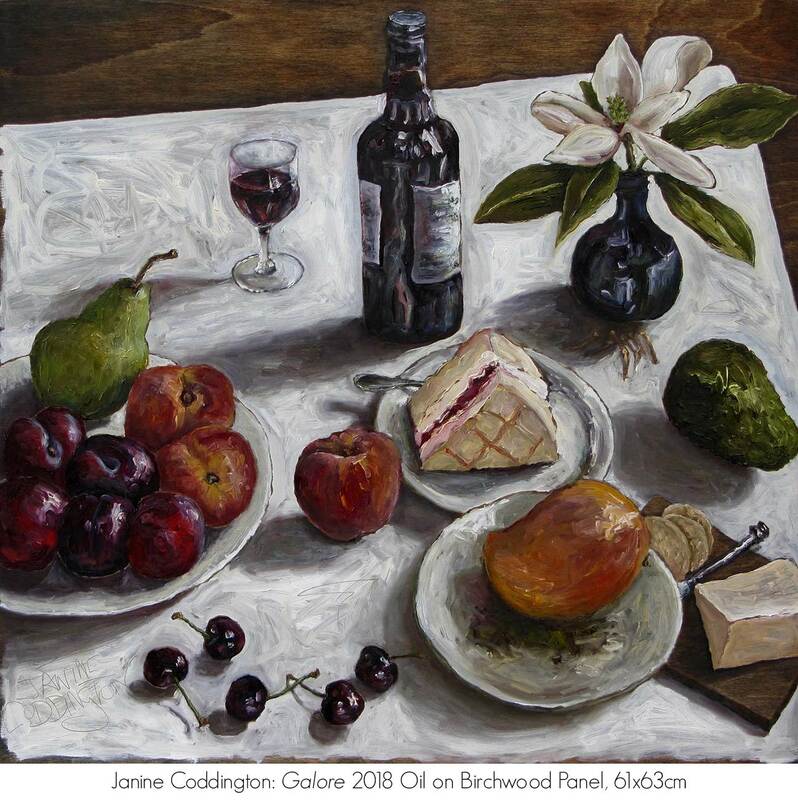 In this exhibition, Illawarra Local, Jamie brings together some of the region´s favourite artists who are recognized Australian and International award-winning artists, yet mostly unknown to Sydney collectors. 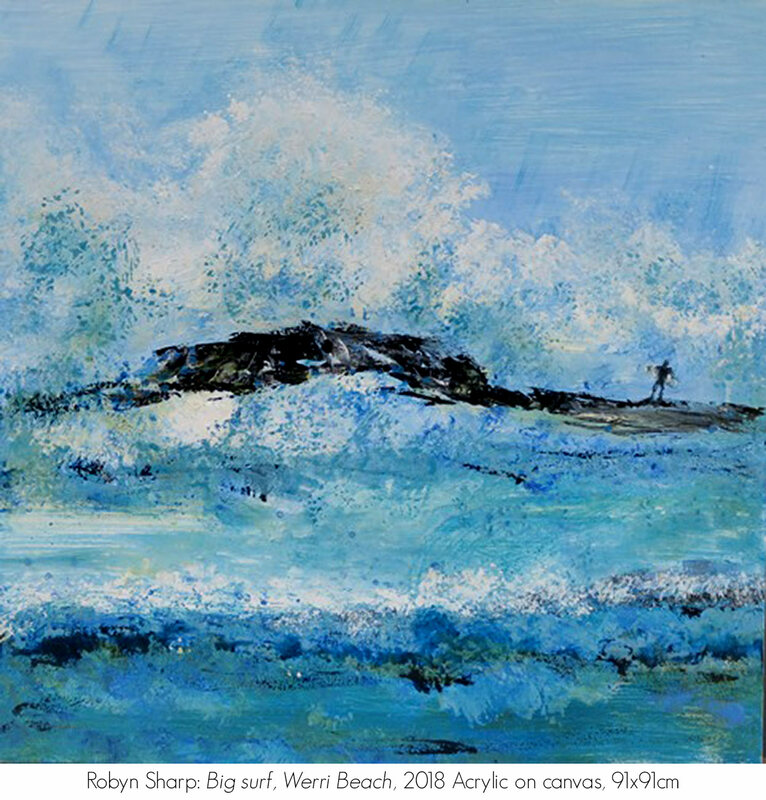 Illawarra Local, introduces nine South Coast Artists: Gitte Backhausen, Catherine Carr, Janine Coddington, Lissa de Sailles, Becky Guggisberg, Brigita Hammell, Melissa Ritchie, Megan Seres and Robyn Sharp. 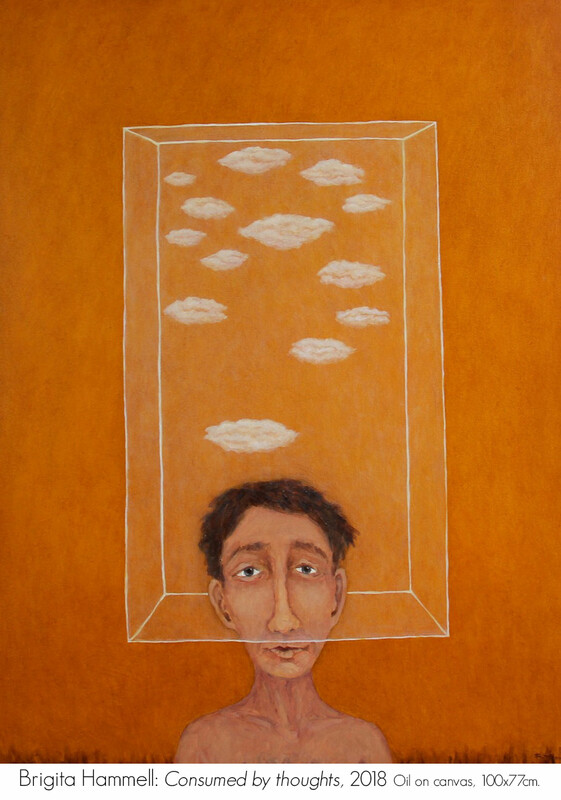 Gitte Backhausen has been a finalist in many awards including Meroogal Womens Art Prize, Kangaroo Valley Art Prize, Northern Beaches Art Prize, Blacktown City Art Prize, Warringah Art Prize and the Waverley Art Prize. The abstract expressionist movement has had a major influence on my approach to art. It has supported my urge to create freely, exploring the process of creation itself, rather than aiming for a premeditated outcome. It´s important for me to keep exploring and expanding my practice.Gitte Backhausen 2017. 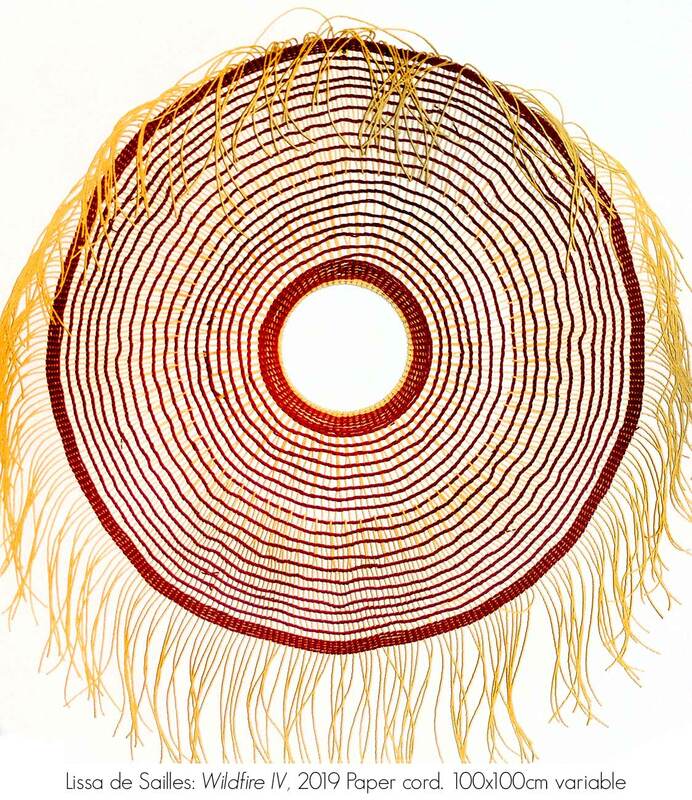 Private Collections: Australia and Internationally. 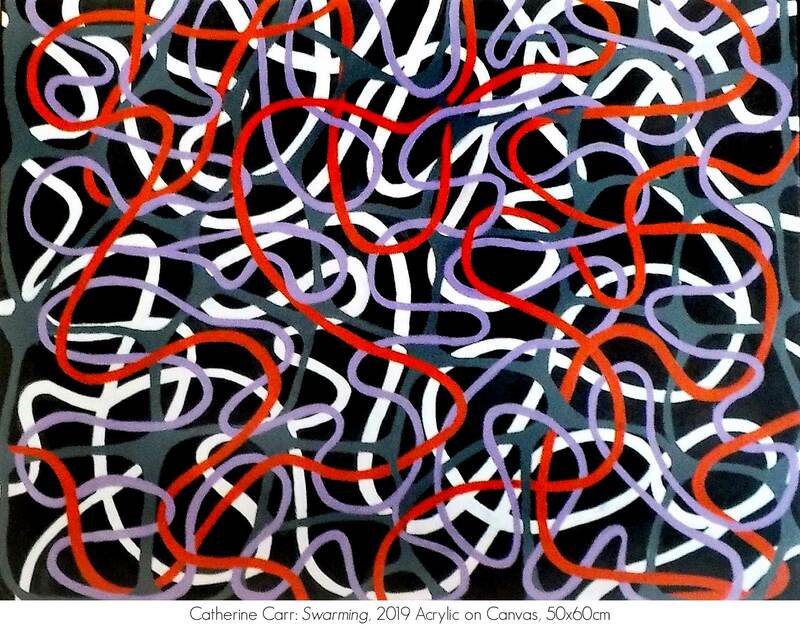 Catherine Carr has been exhibiting both artist books and paintings since 2005. 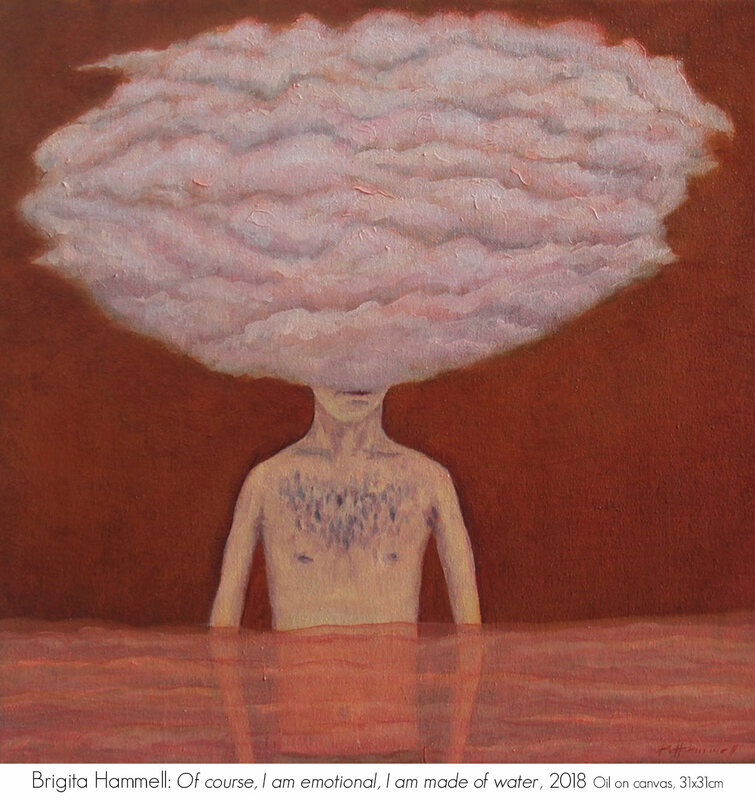 Solo exhibitions include the FCA Gallery University of Wollongong, the Long Gallery University of Wollongong, 107Projects Redfern, and group exhibitions in Sydney, Canberra and Japan. 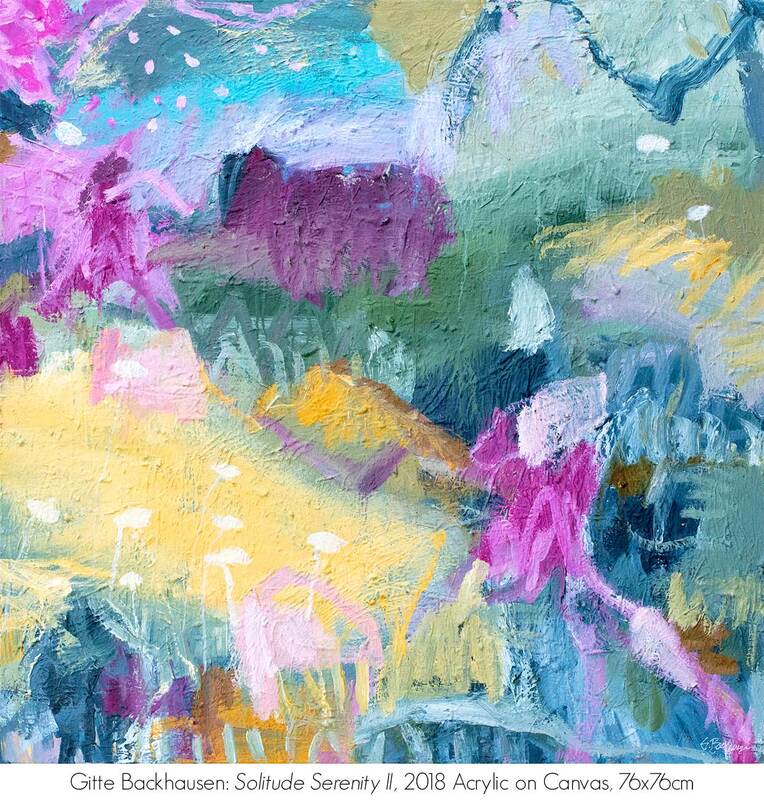 In 2010 Catherine completed a creative arts doctorate researching What is a Rover Thomas painting? 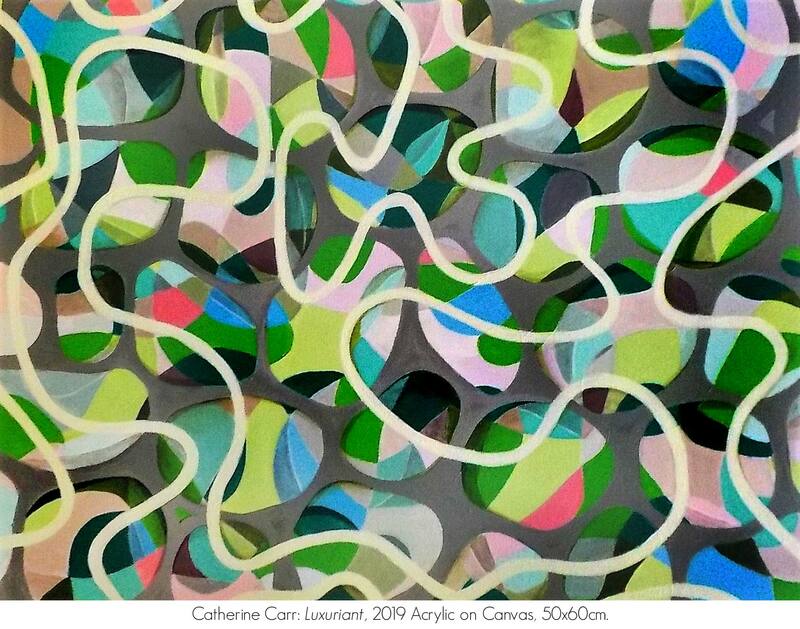 These observations inform the layering in her work and exploration of ideas of thinking as patterns interwoven, layer upon layer rich in depth and association, much like multitudes of thought, processing concurrently, in the mind. 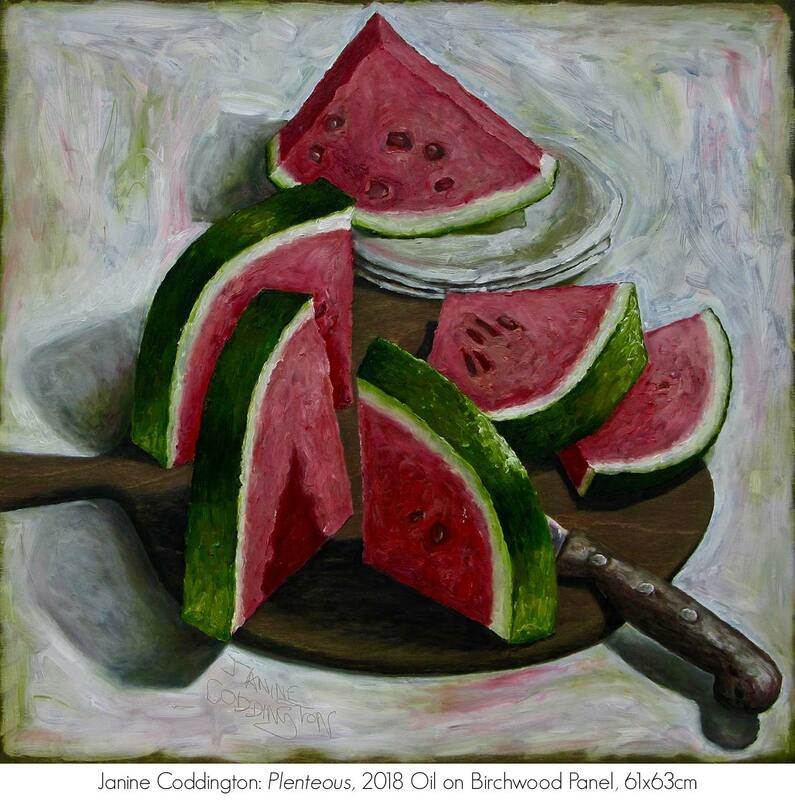 Janine Coddington´s work documents her surroundings in broad categories of "interiors" and "landscape". Her source for subject is found around, and in, her home at Gerrigong on the NSW South Coast. 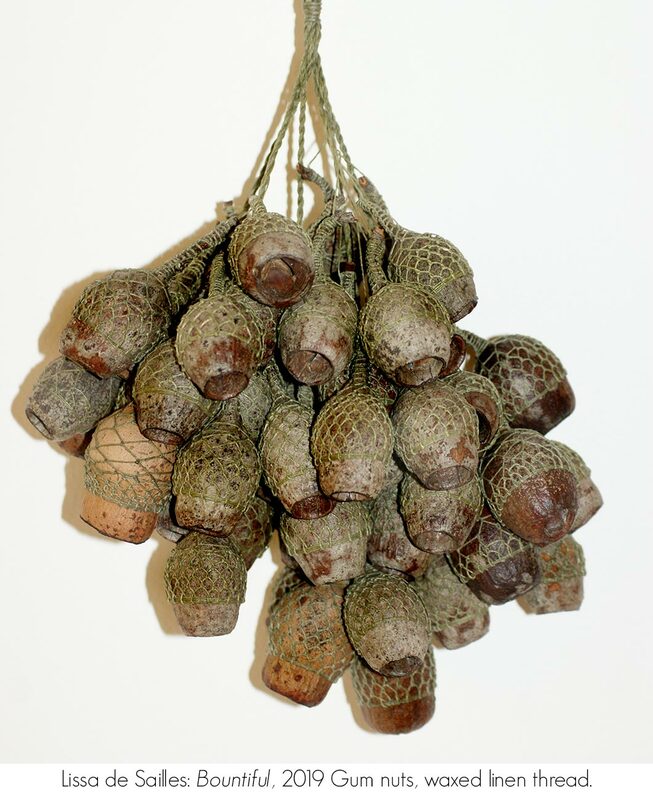 From these, she develops sub-categories of work that are more object driven; botanicals; chairs; vessels; figures; birds. 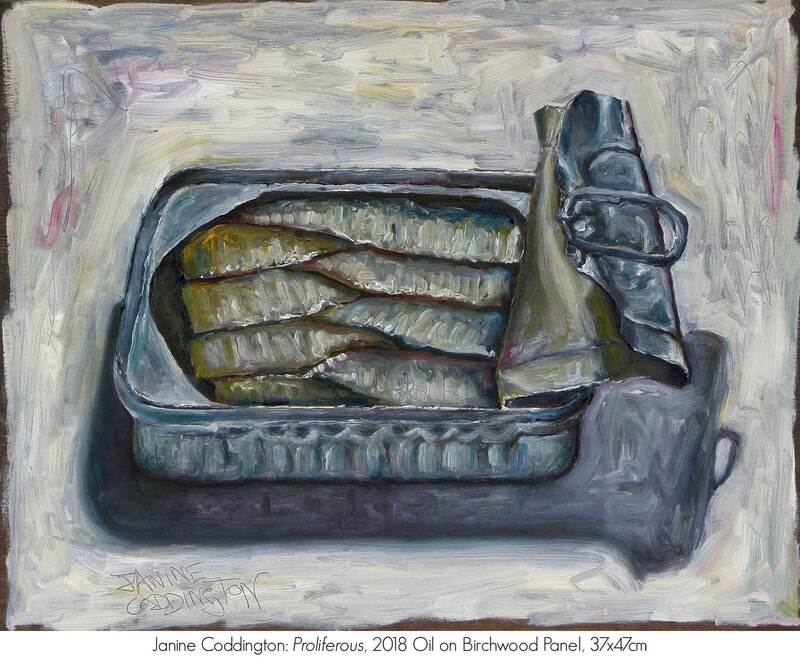 In this exhibition, Janine offers us intimate portraits of consumption: the joy of fresh cut watermelon; the aroma of a just opened tin of fish delicacy jammed tightly in its tin, ready to delight. Galore, is a feast of seasonal freshness accompanied by a freshly sliced sponge cake filled with jam and cream - an abundant feast for the senses documented and preserved for contemplation. 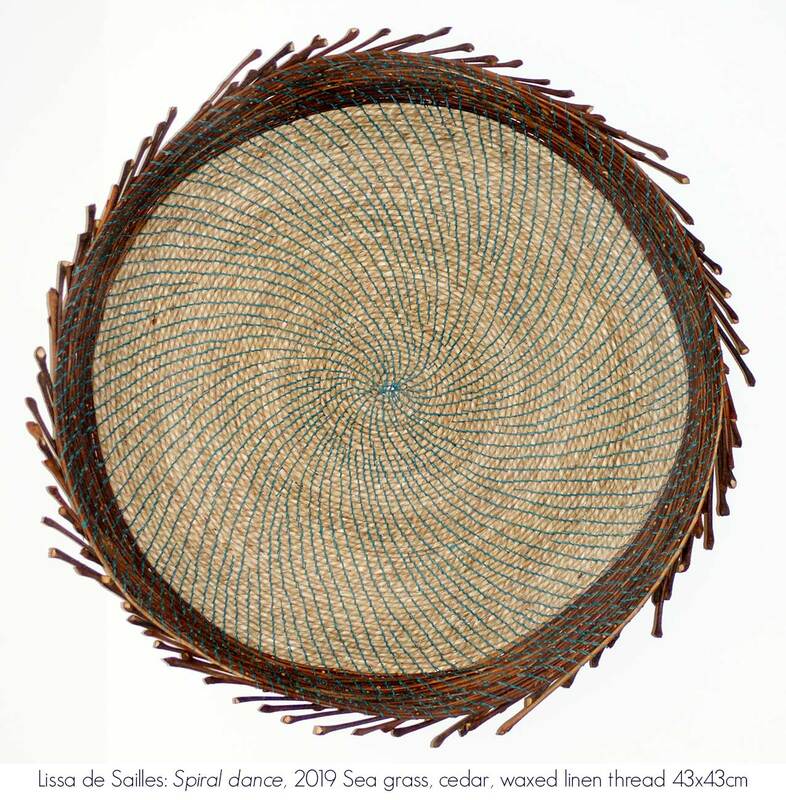 Lissa de Sailles is a basket maker and fibre artist who has studied locally and internationally with master basket makers including Jim Walliss and Joe Hogan. In 2015 Lissa was the recipient of the Veolia Mulwaree Travelling Scholarship and spent time training in Ireland, England, and teaching in Abu Dhabi and Dubai. 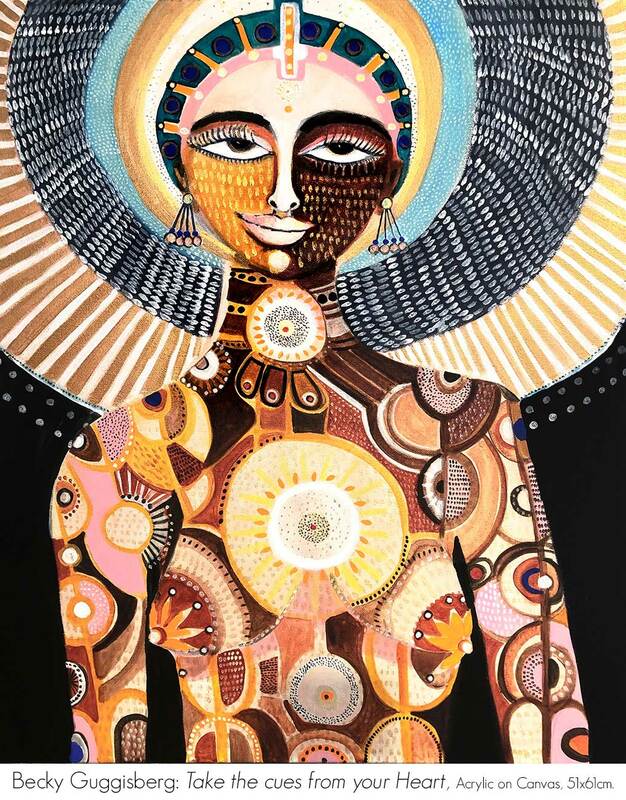 She has been a two time finalist in the Craft NSW Emerging Artist Award, and in 2012 was awarded the Shoalhaven Women´s Conference Personal Development Grant. Finding inspiration in her surroundings, Lissa uses locally sourced sustainably harvested weaving materials and salvaged matter. ..rubbish is just like a treasure for me. I don’t really have a favourite material..Lissa de Sailles 2018. 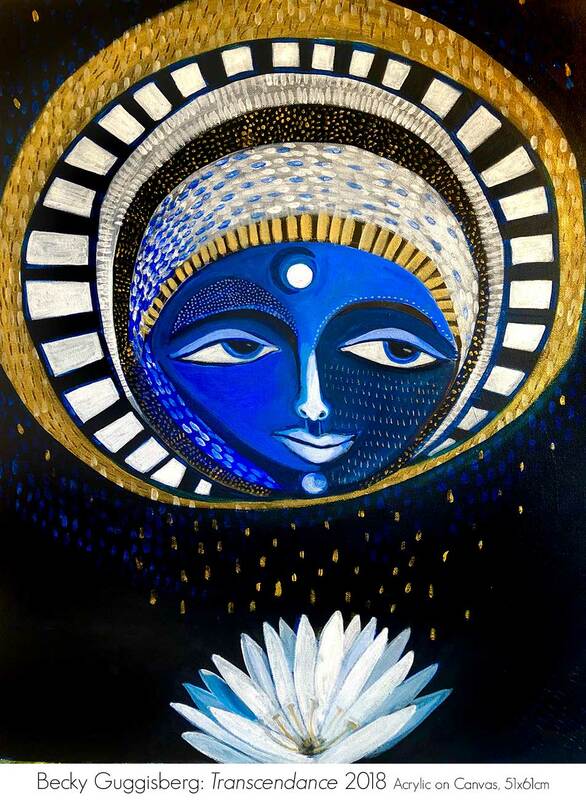 Becky Guggisberg is based in Kiama and recently a month as Artist in Residence at Kriti Gallery - in the Holy city of Varanasi, India. Arriving coincidentially at the time of the festival of Navratri, Becky found Varanasi alive with an aura of festivity and spirituality in the blend. For ten days from the beginning of the festival till Dussehra, the entire city becomes a Ram Leela (dancing) ground during Navratri (Nava Sanskrit meaning - nine; Ratri - nights) festival of the Goddess (Feminine Energy - Shakti). 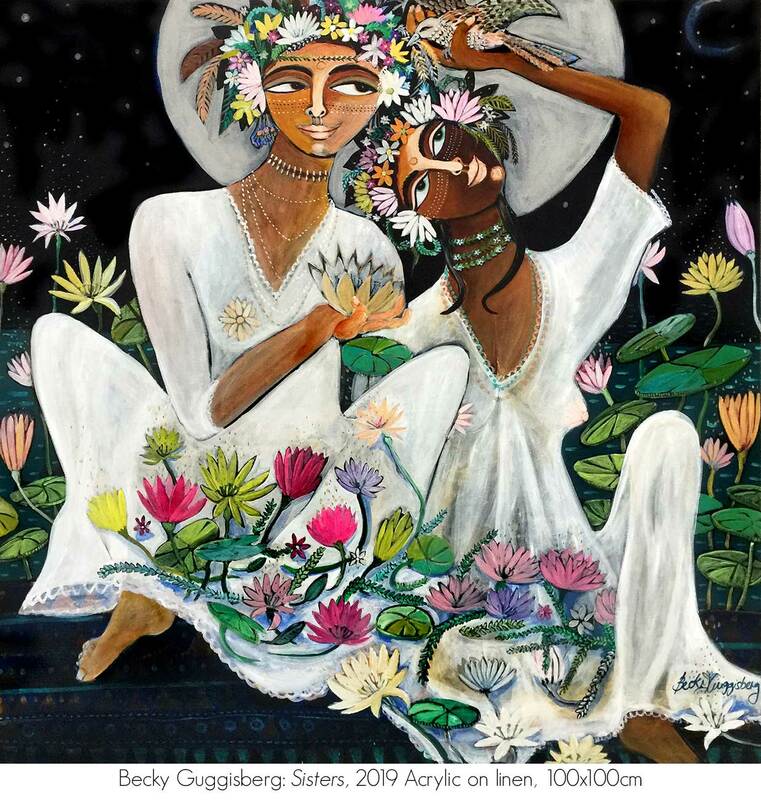 Navaratri follows the nine forms of the goddess - growing from childhood, to womanhood, motherhood, and death. Temples overflow with worshippers, nights are filled with singing, dancing, music, flowers, colour, nature energy and storytelling. 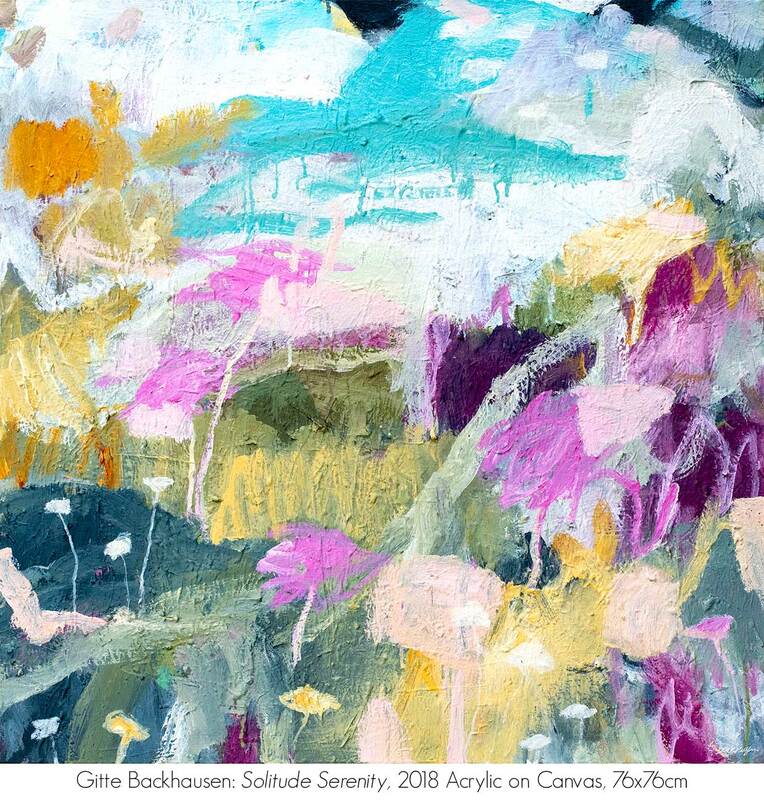 These works are influenced by that time of celebration and... the journey we all have from youthful innocence to mature understanding...Becky Guggisberg 2019. 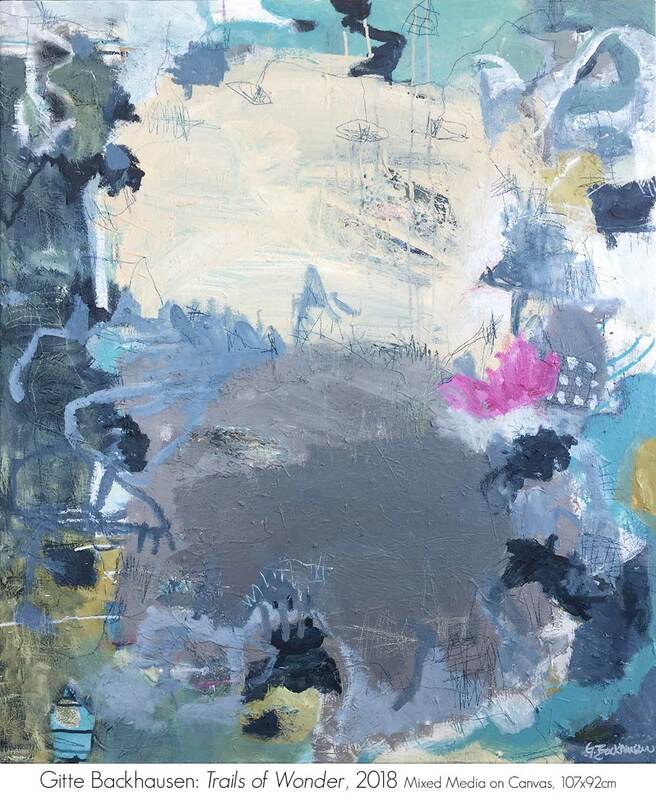 Brigita Hammell is a narative painter, capturing emotion within fragments of everyday life. An appreciation for little meaningful things in life becomes, somehow, much more important as we grow older and wiser. I suppose my paintings are a process of learning and understanding life on my own personal level. People will always be a never-ending inspiration for my work.Brigita Hammell 2018. Public Collections: University of Wollongong, NSW. Private Collections: Australia, USA, Europe. 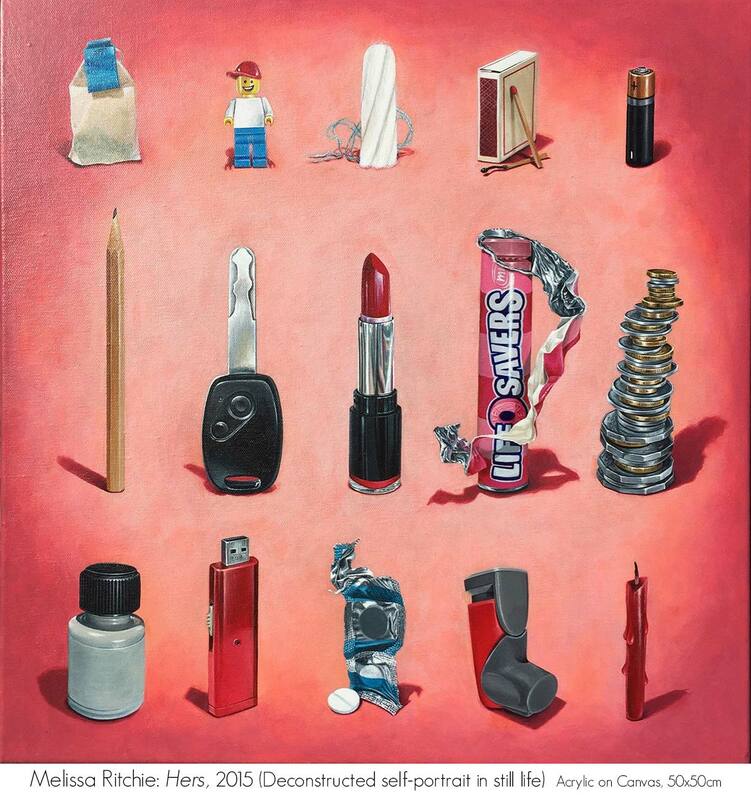 Painting from her Illawarra based studio in NSW, Melissa Ritchie has been a finalist in many major Art Awards including the Archibald Prize (2016), the Percival Portrait Prize, Black Swan Portraiture Prize, Portia Geach Memorial Award, Shirley Hannan Portrait Prize, Kennedy Prize and the Kilgour Prize. 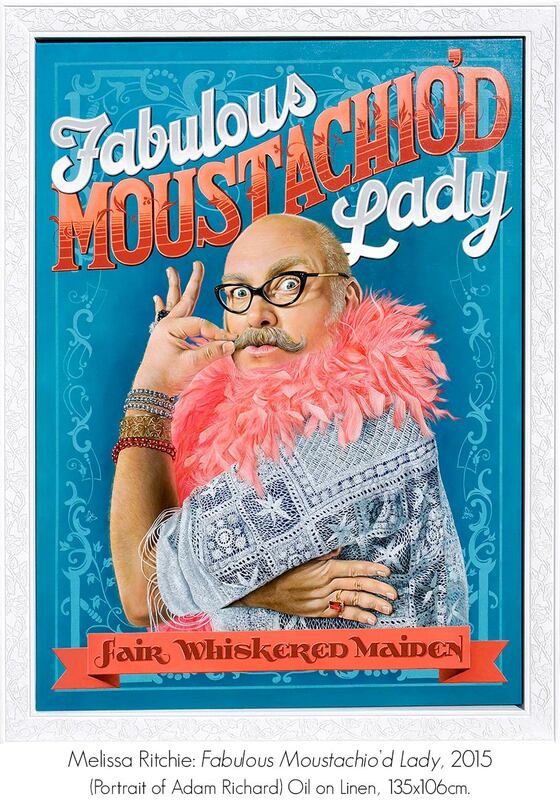 My portraits are a satirical celebration of the sitter. Influenced by graphic art, vintage design and ideas of genre. I portray a sitter´s personality by painting them in a role or theme, often fictional, that mirror elements of their own true life character. I like to think of myself as the Annie Leibovitz of portrait painting.Melissa Ritchie 2018. Public Collections: Wollongong Regional Art Gallery, NSW. 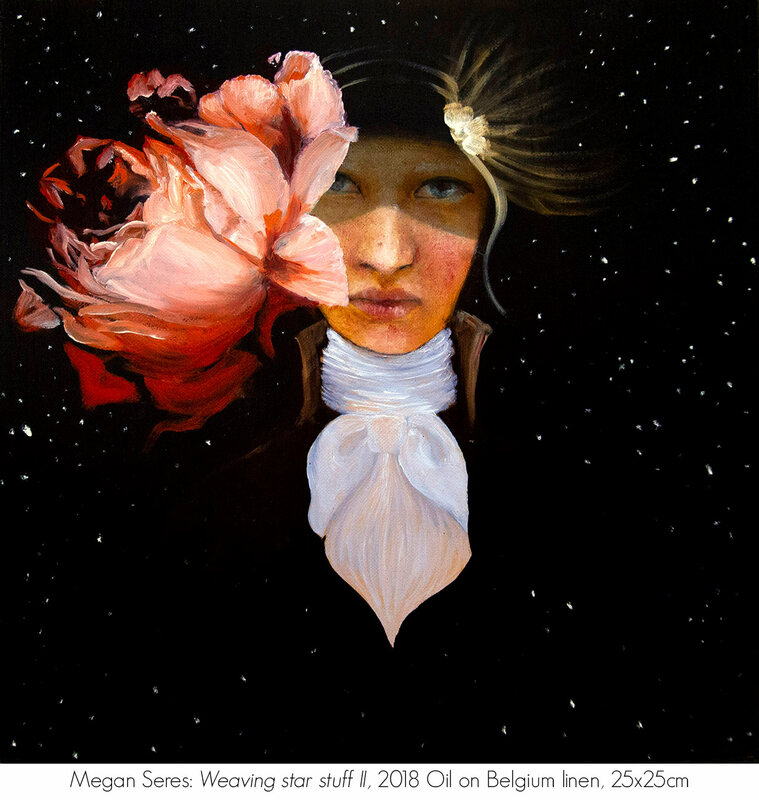 Megan Seres won the 2016 Doug Moran National Portrait Prize for her painting of her daughter Scarlett depicted as 11-year-old convict Mary Wade. 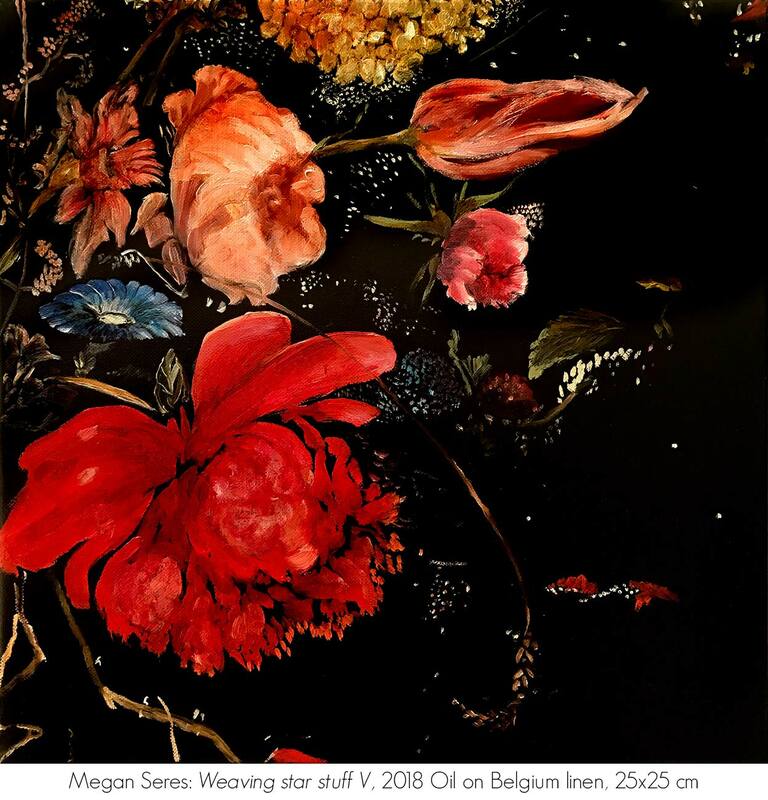 Megan has been a many time finalist in major awards including; Mosman Art Prize; Fleurieu Biennale Art Prize; The Blake Prize, and the 2009 Archibald Prize. Many of my paintings.. have a Gothic sensibility.. drawn from 17th to 19th century discourse and motifs found in art, poetry, texts, fashion and films. 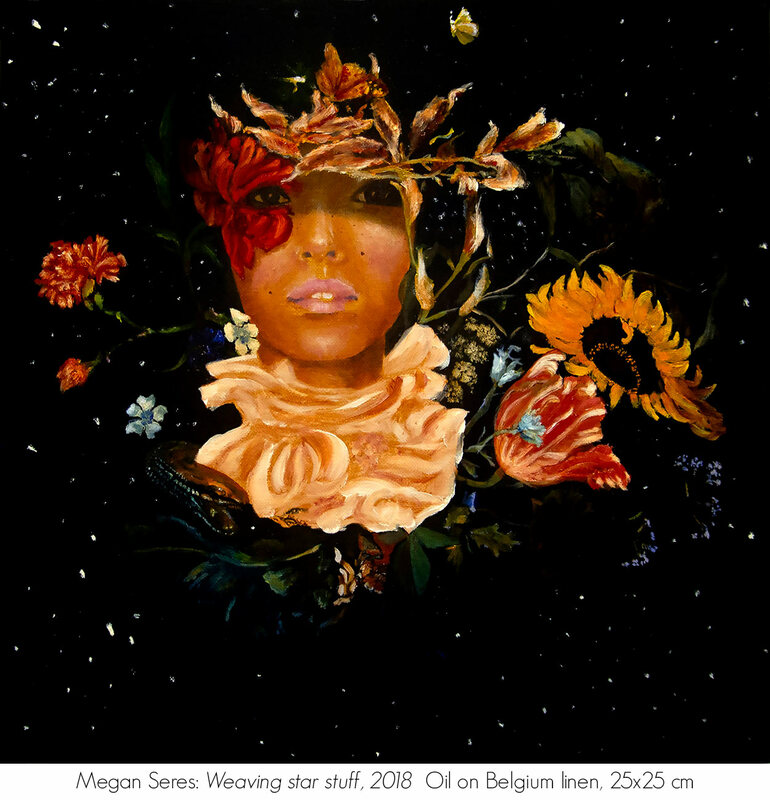 ...a key component..(is) the exploration of the boundaries between what is observed, what is imagined, and what is hidden or forgotten, is of enormous importance to my work..Megan Seres 2018. Public Collections: Moran Arts Foundation Collection; Standfirst Fund Management; Adderton House; Redlands. Private Collections: Australia, England, USA, New Zealand. 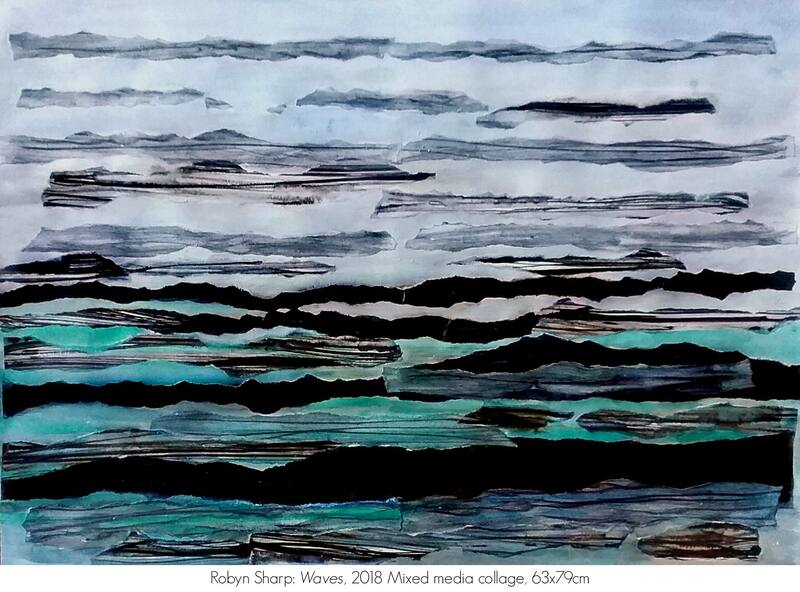 Robyn Sharp is a regular finalist in the Mosman Art Prize and lives in Kiama´s Foxground, a scenic valley, north of Berry, surrounded by mountains. Broughton Creek flows out by the southern end of the valley to the Shoalhaven River. 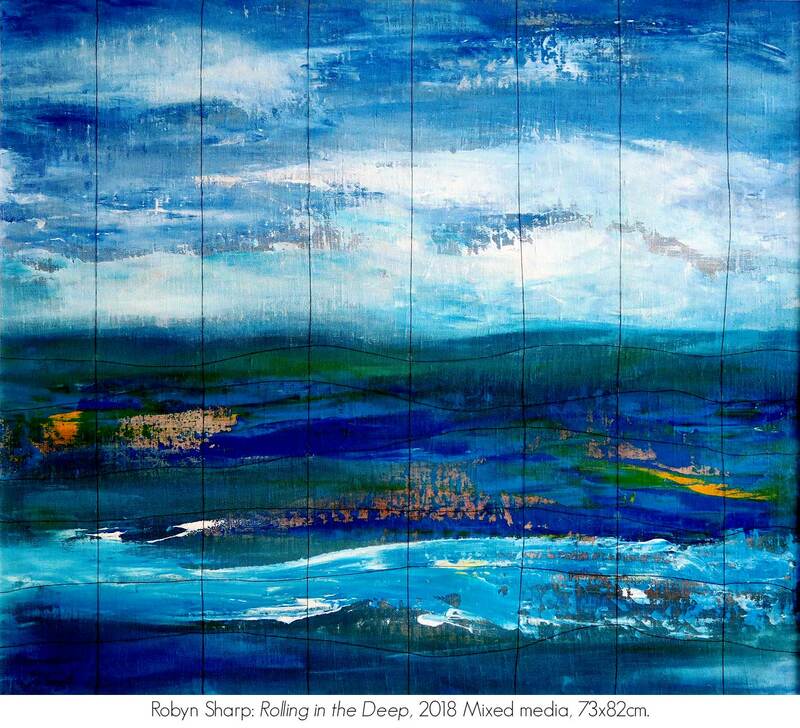 A feeling of calm and serenity is often there, but also a strength and sense of fun.Robyn Sharp 2018.